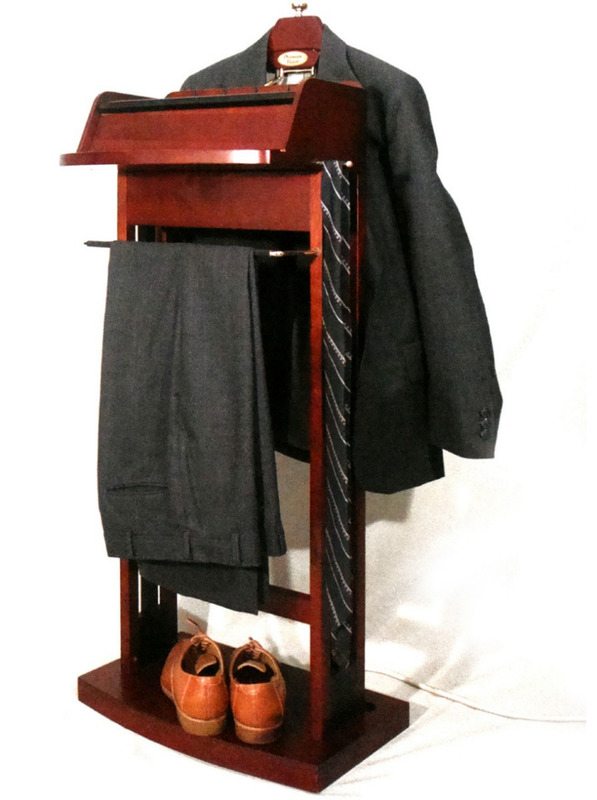 While I've never seen a valet stand at any of my clients' homes, I still think they can be really useful—and a real valet stand is nicer than an ironing board or a treadmill serving as a valet stand. 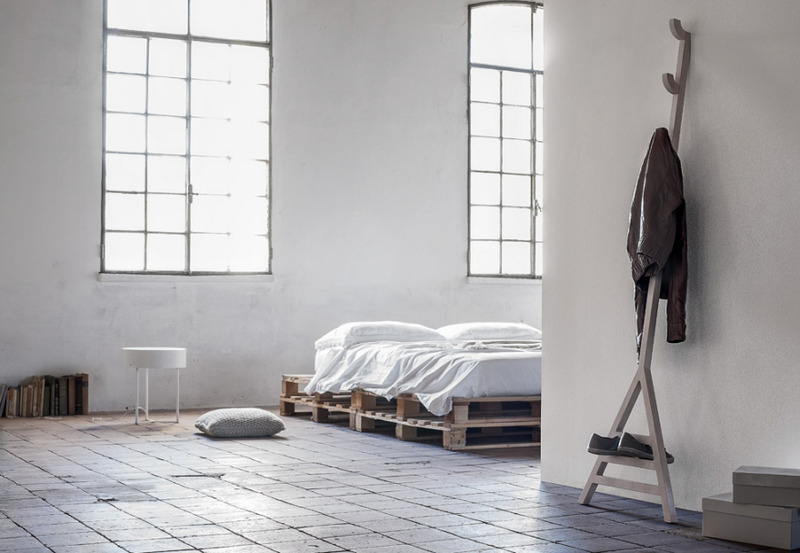 The Modo wall valet from Artful is a clever design; clothes can be hung nicely or just tossed over the piece. There's no place for a wallet, glasses or other such items—or for shoes—as with some other valet stands. But for end users who just want a place to toss their clothes (or put out tomorrow's), it could work just fine. And it's ideal for end users who have more free wall space than free floor space. I'm intrigued by the variety of products that fall within the general category of valet stand. 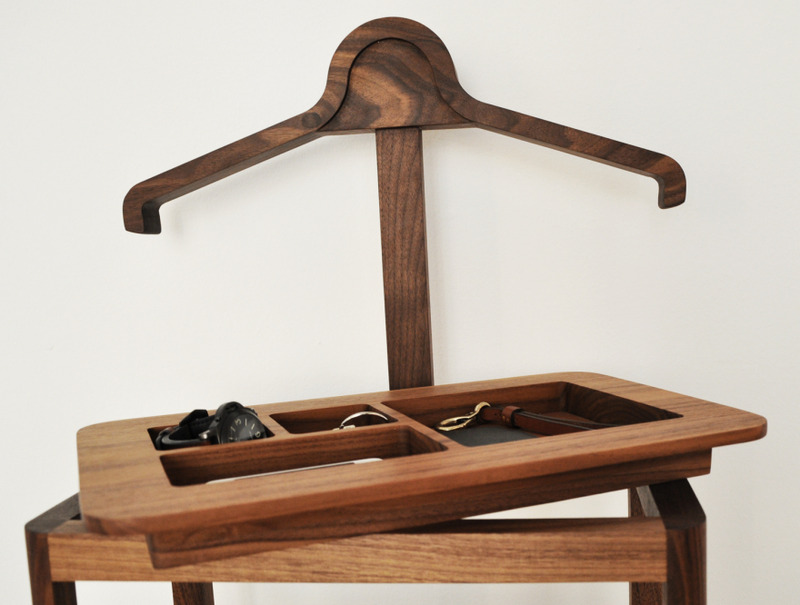 On one end of the spectrum, there's the traditional Gentlemen's Valet, designed by Søren Rose Studio. It's a well thought out piece, perfect for a man's suit and all that goes with that. 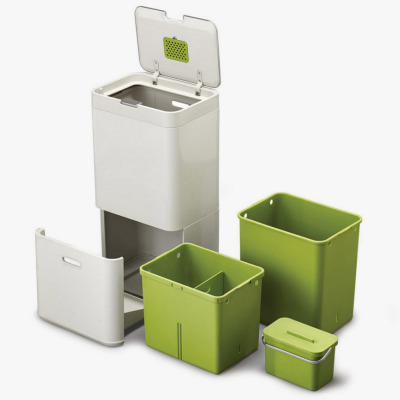 The tray has compartments of various sizes, accommodating a wide range of items: wallet, keys, cell phone, watch, etc. 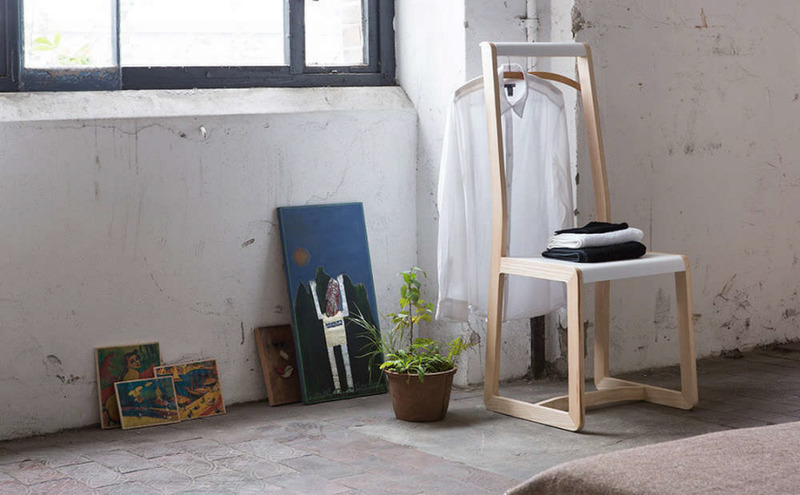 And on the other end of the spectrum, there's the Herman Clothes Stand from Ferm Living, designed by Herman Studio. This one is fine for less formal clothes, and would be good for end users who just aren't going to fuss with hanging something perfectly. 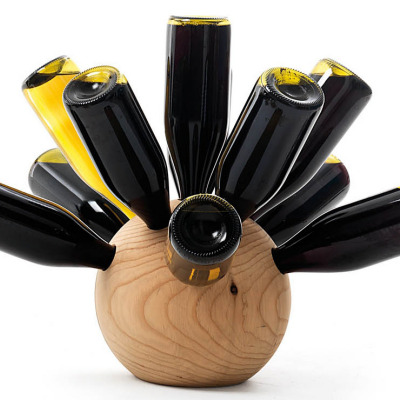 The frame is made from powder coated metal; the pieces are held together by a leather cord and brass bolts. 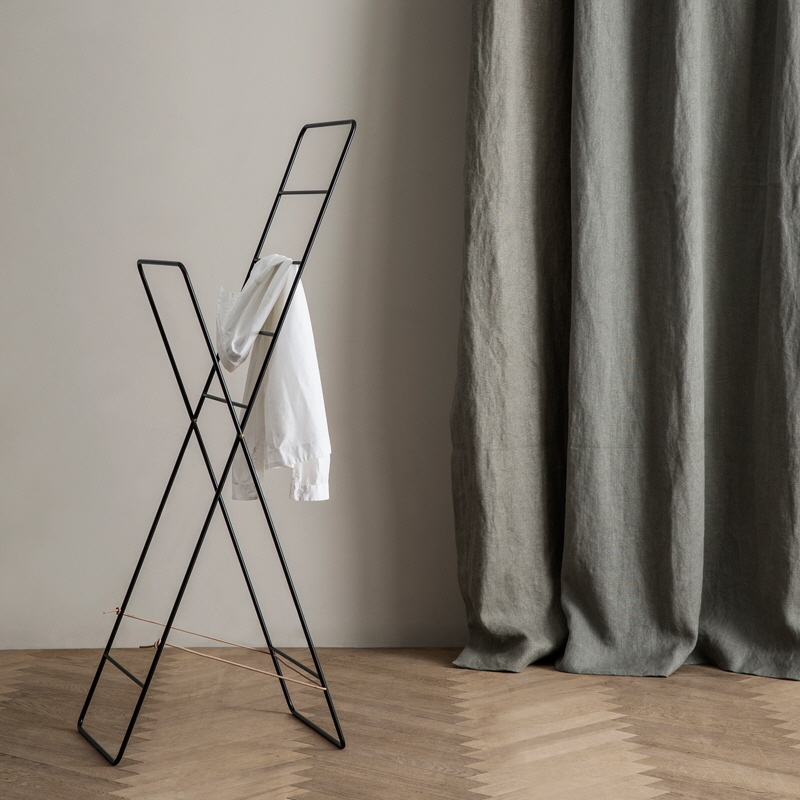 Another design that's even better for the "make it quick and easy for me" end user is Stekko valet from Formabilio, because hooks are the easiest possible way to hang clothes up. At 170 cm, it's a bit tall for someone short like me; reaching the top hook might be difficult. 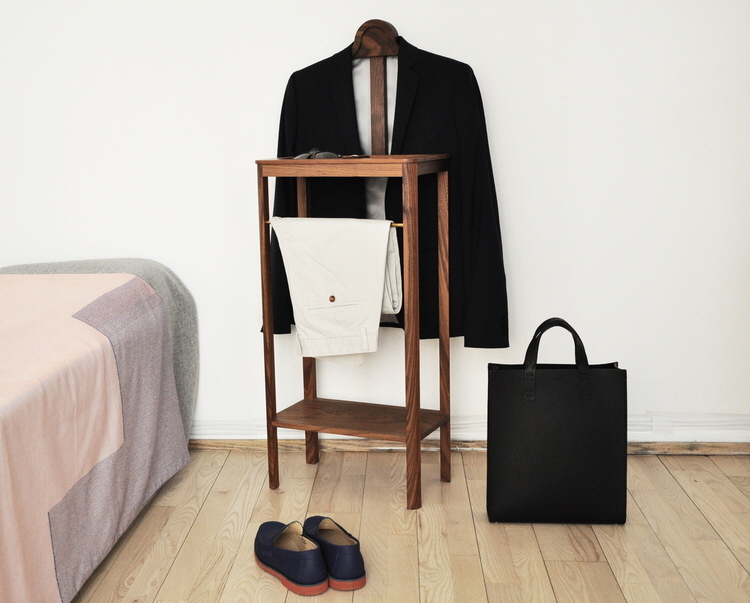 Formabilio recommends attaching this valet to the wall and supplies the hardware to do that. While that makes the valet less portable, it also means that someone with large rambunctious dogs (or small children who like to tug at things) could also use this valet. 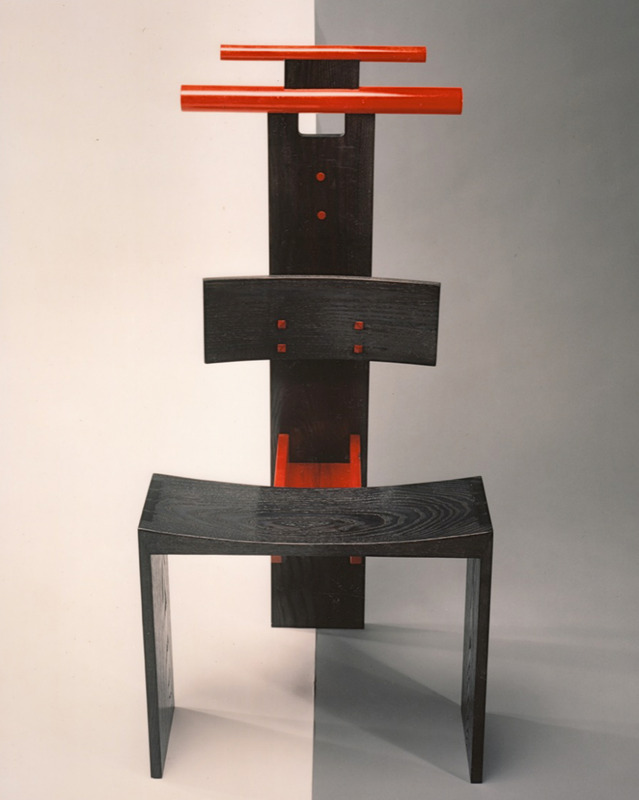 Valet de nuit Andros, designed by Pucci de Rossi, certainly reflects that he was a sculptor as well as a designer. Besides being eye-catching, it's also fairly practical, with many places to drape clothing. On the top there's a place for a limited number of things, such as a watch. 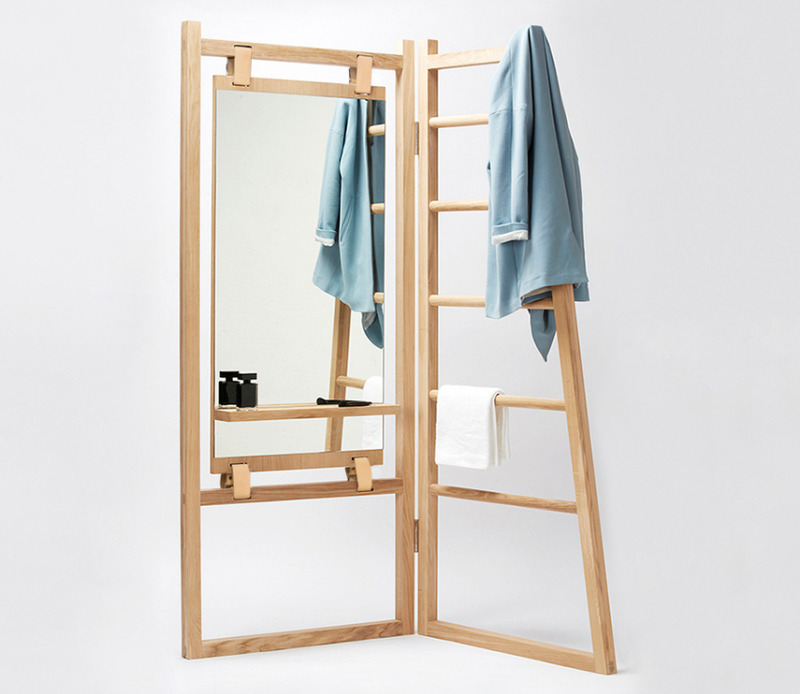 I can see some end users becoming better about hanging up their clothes just because this is such a delightful piece to interact with. This valet stand is made of resin. The valet chair is another traditional design, beautifully exemplified by the Hans Wegner valet chair. A chair allows the end user to sit down while getting dressed—that can be handy, especially for putting on shoes and socks. 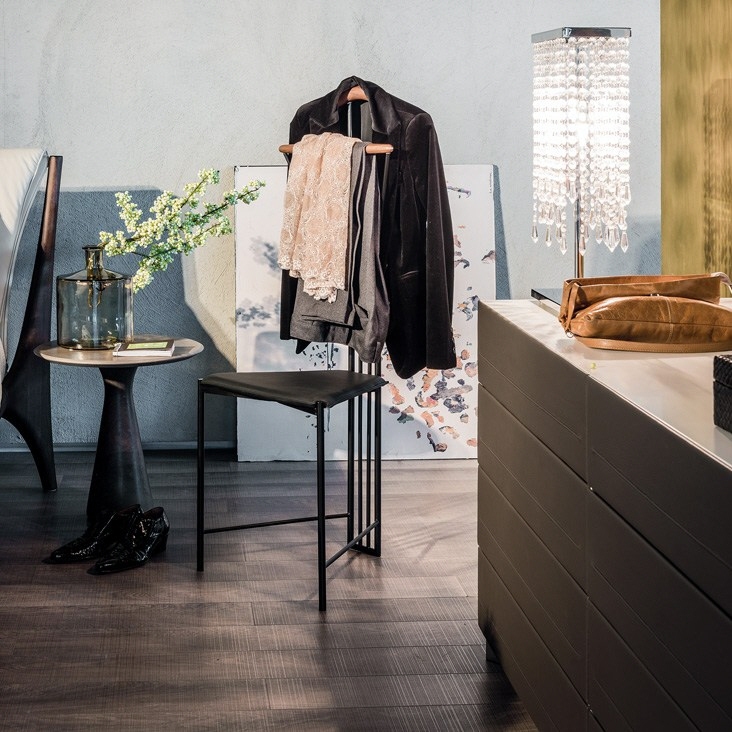 The Yannik valet chair from Cattelan Italia, designed by Andrea Lucatello, follows the example of the Wegner chair and incorporates support for a jacket into the chair back. There's also a bar for handing slacks. 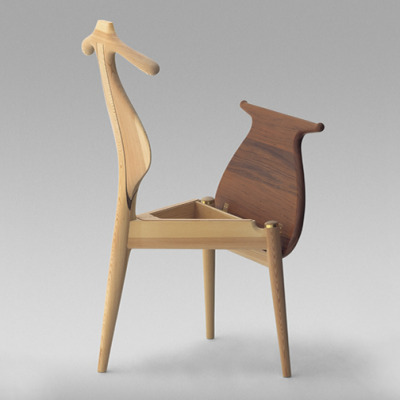 Scott Wynn's valet chair might not allow a jacket to hang quite as nicely, but the wooden chair might be more comfortable than the Yannik chair. 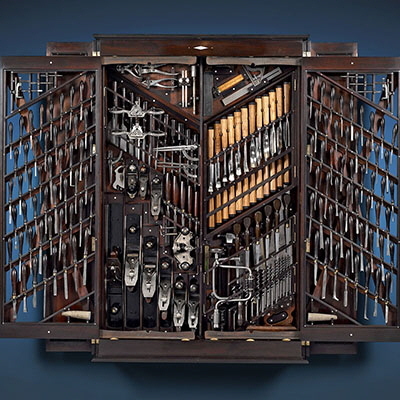 And there's a nice little spot for watches and such. Jannis Ellenberger of ellenbergerdesign took a different approach with his Private Space valet chair. 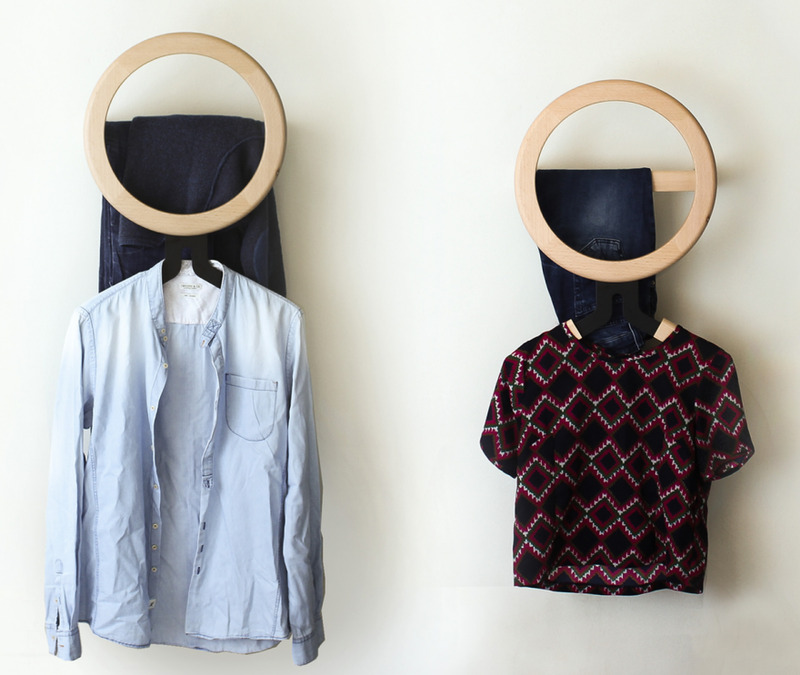 Jackets don't hang on the chair back; rather, the backrest has a slot for hangers. That would be useful for an end user who wants to use the chair for assembling a next-day wardrobe and already has shirts on hangers, perhaps from the dry cleaners. 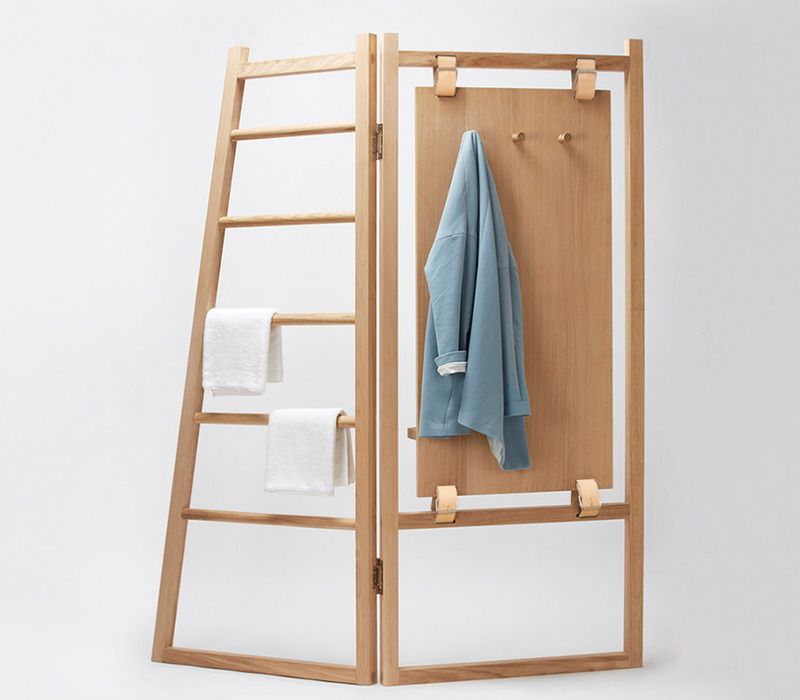 For end users with enough floor space, something like Le Valet from La Fonction could work nicely. This valet stand incorporates a mirror, which is a nice touch. And on the back of the mirror are pegs to hang more clothes. 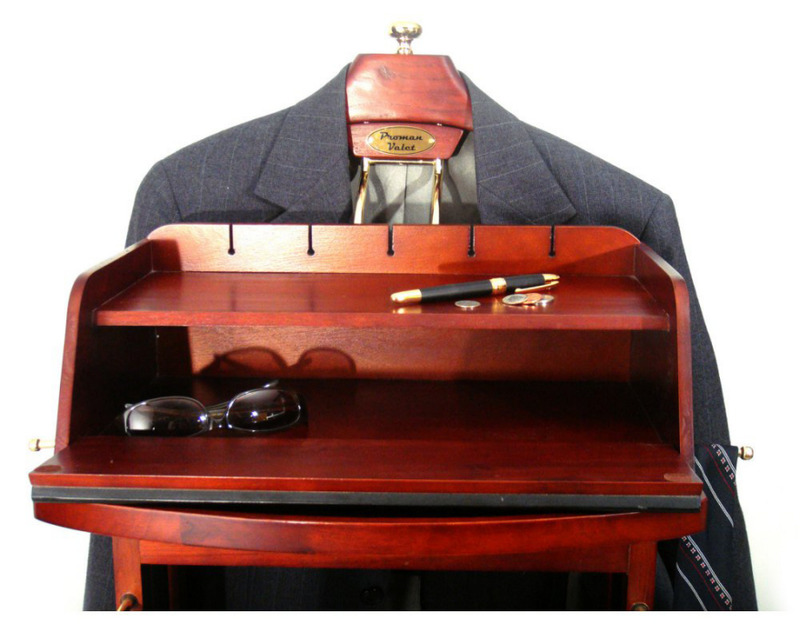 While many valet stands have a place for things like a watch or a cell phone, using that space may be problematic for end users who need to charge their watches and/or phones. They could run a cord from the valet to a power outlet, but that can be a bit awkward. However, the Excalibur Wardrobe Charging Valet from Proman Products might be a step in the right direction, with its built-in three-outlet two-prong power extension cord. However, multiple purchasers have noted that the slots on the rear that hold the cords are too narrow for most cords to fit—not even the thin iPhone charger cords work. 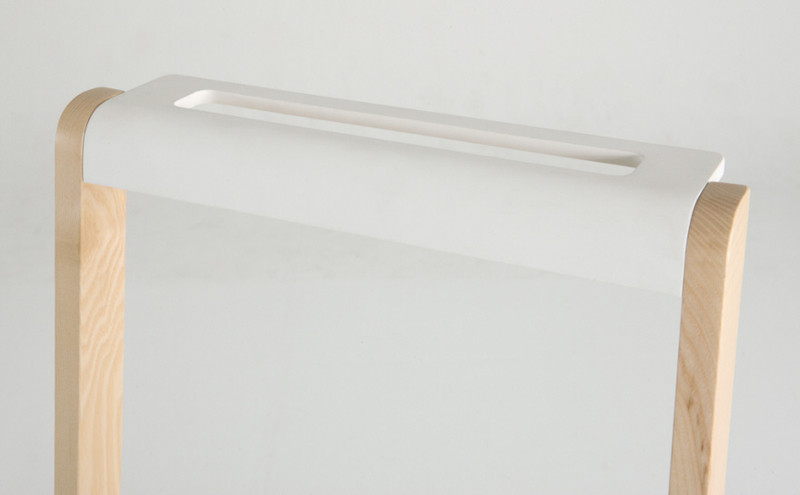 Also, an option for a power cord in a color other than white would be nice, since white won't work well with every end user's decor. And personally, I'd prefer a surge protector to a normal power cord. 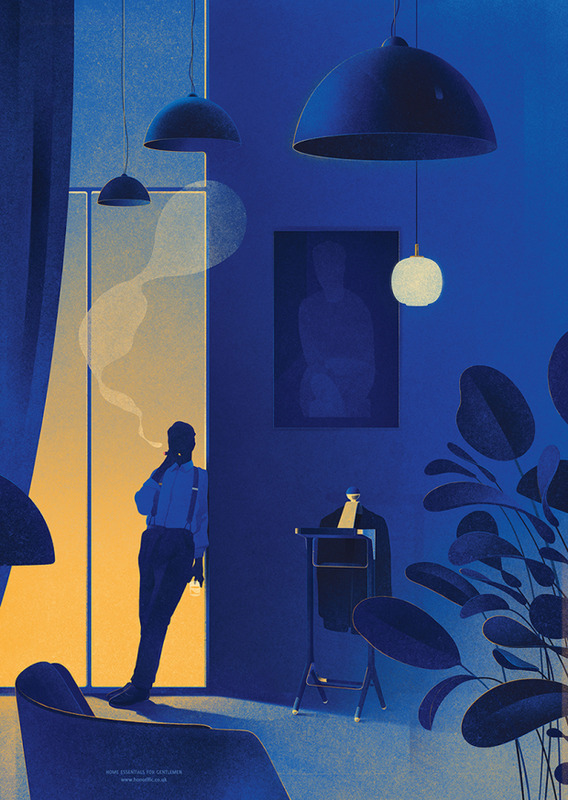 I hope this illustration by Karolis Strautniekas might be the perfect fit for the cover of Your next article. Love core77, and the great work you all do, but struggling with the seemingly recent push to use "end users" everywhere. I get that there are end users for these products, but why the push to use that term? Seems so impersonal, especially for a field that should be all about considering people and wanting them to connect with your work. Even "users" seems slightly better. I'd be curious to know your thoughts around this. John, I'm not sure what "push" you're referring to, and "end users" is pretty common parlance for both industrial designers and within design education. I believe we borrowed the term from the field of information technology or early computer programming; it's meant to signify the person you are designing the object to serve, that far-off being at the end of the manufacturing process who expects a finished product that they can easily use. As for your suggestion of "users," I find that bizarre; that's a colloquial abbreviation for "drug users" and I can't see how it makes sense here. Going back to the infotech stuff, they used to say "users" to refer to people who were different from "end users," in that the former laid hands on the unfinished product in order to modify or tweak it, which is not at all the goal with finished physical products.